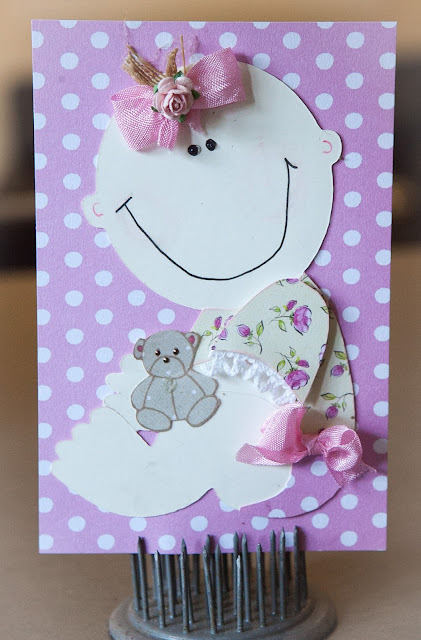 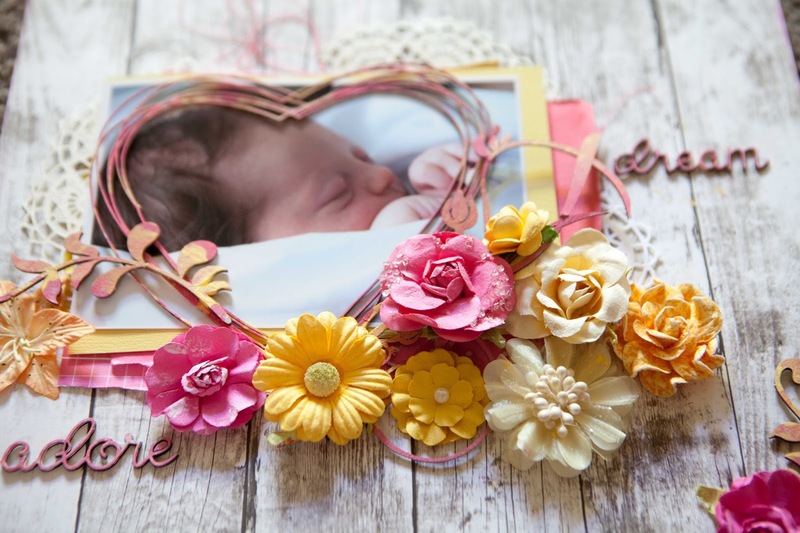 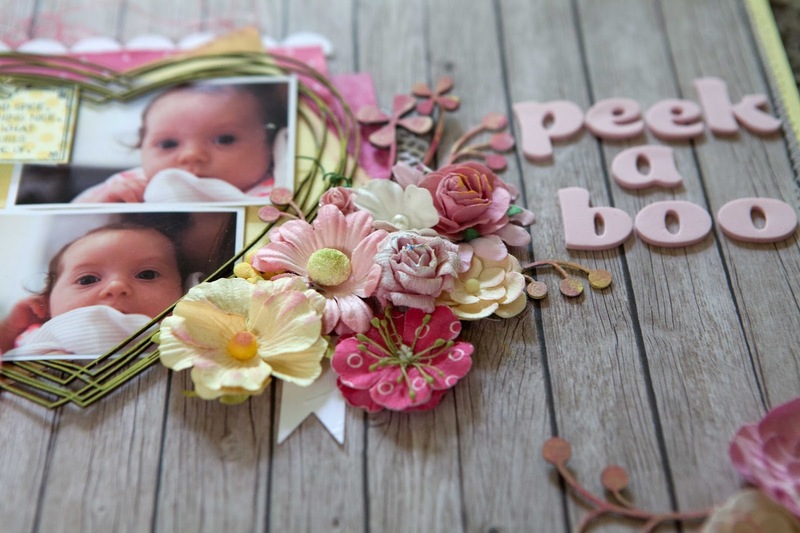 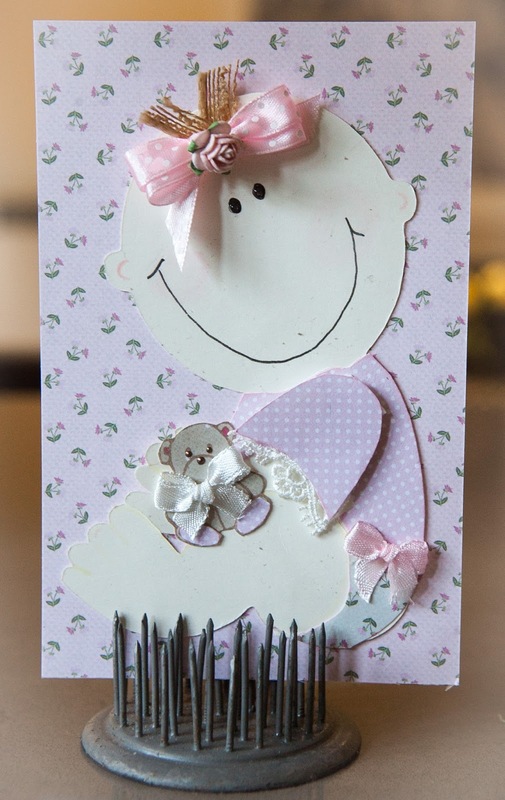 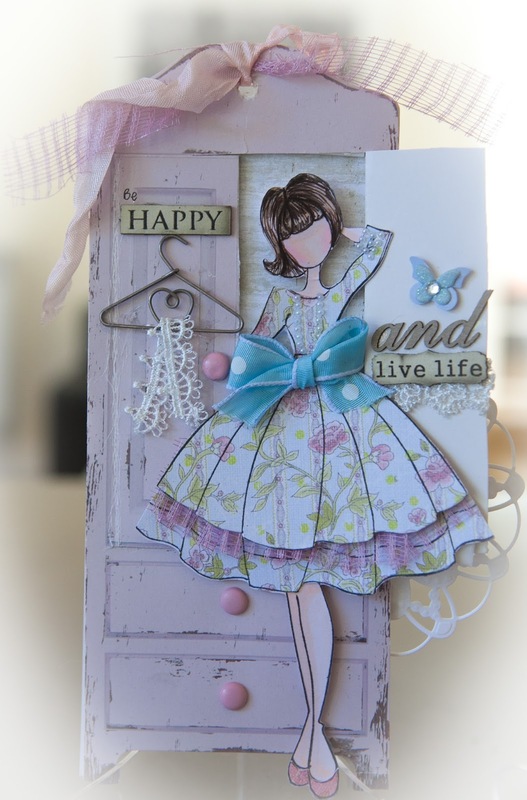 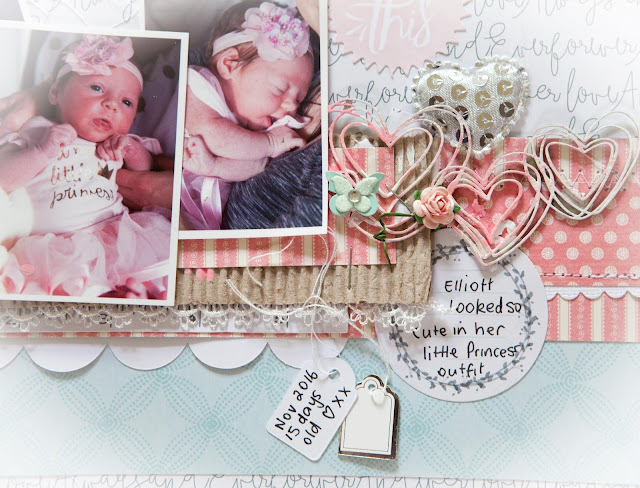 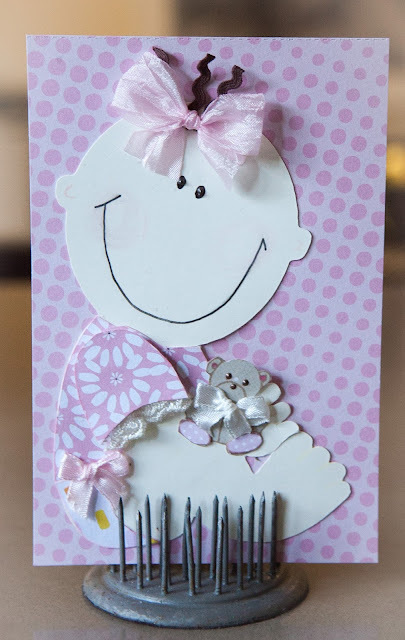 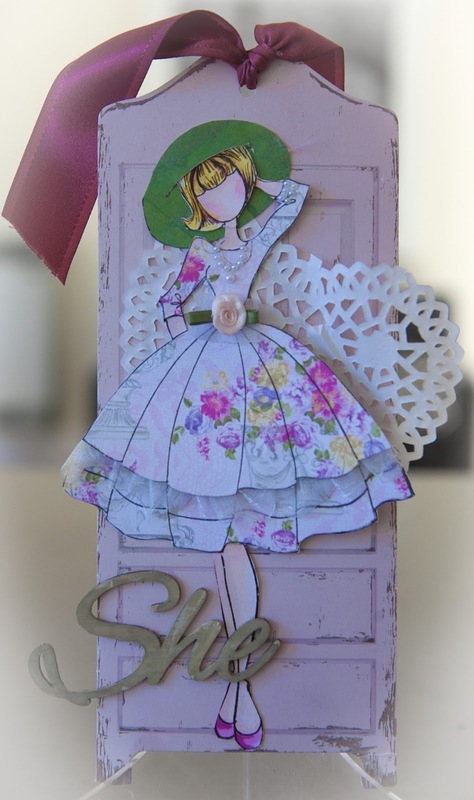 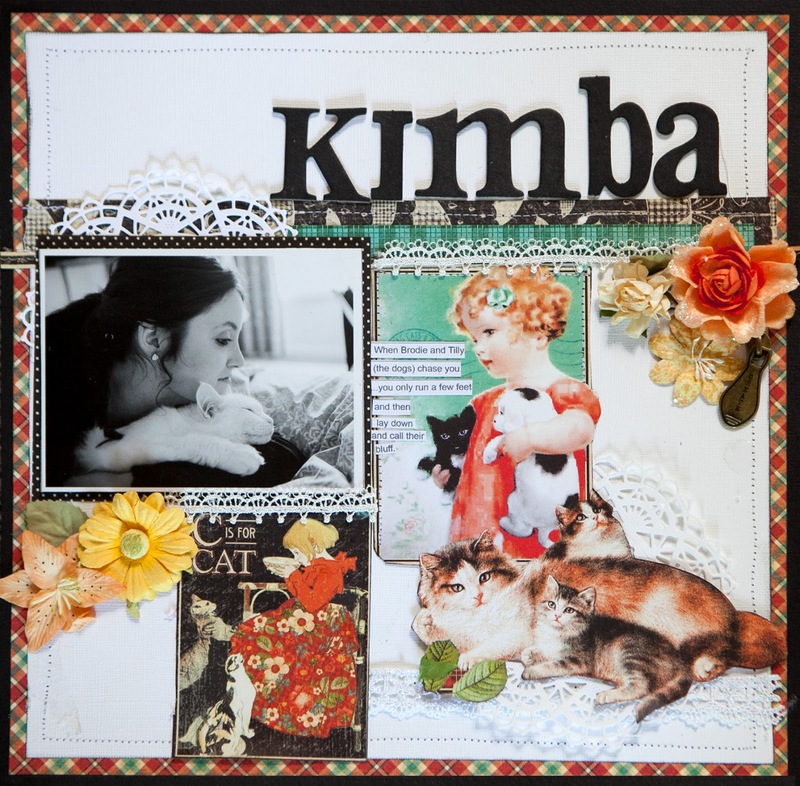 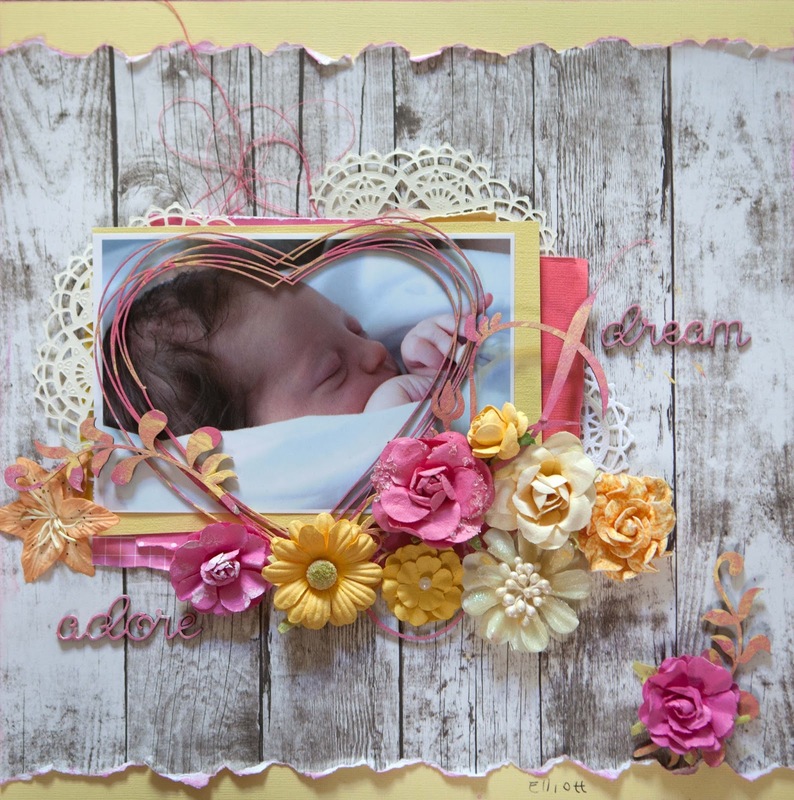 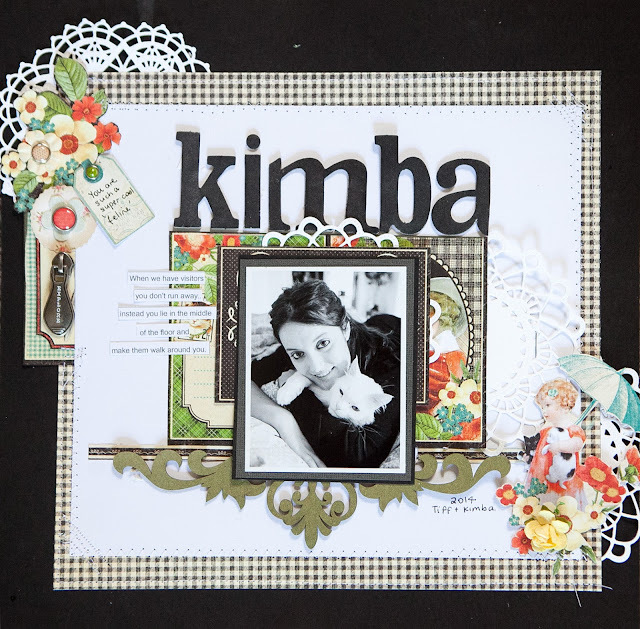 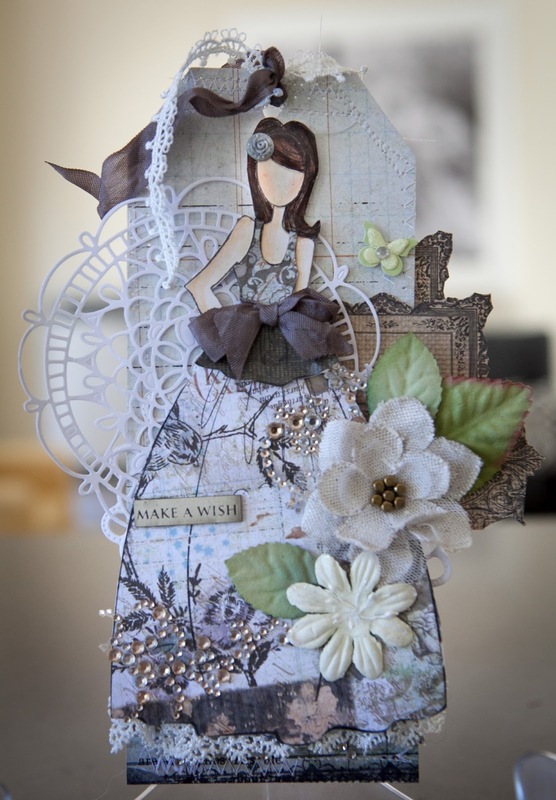 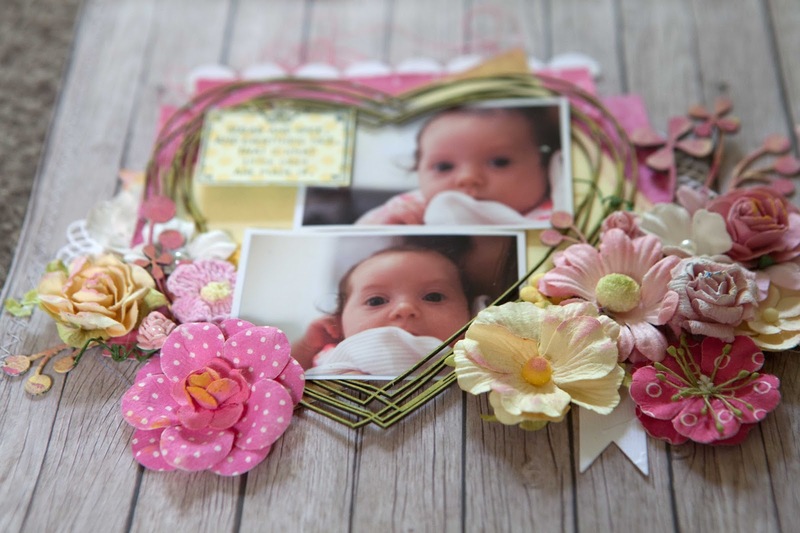 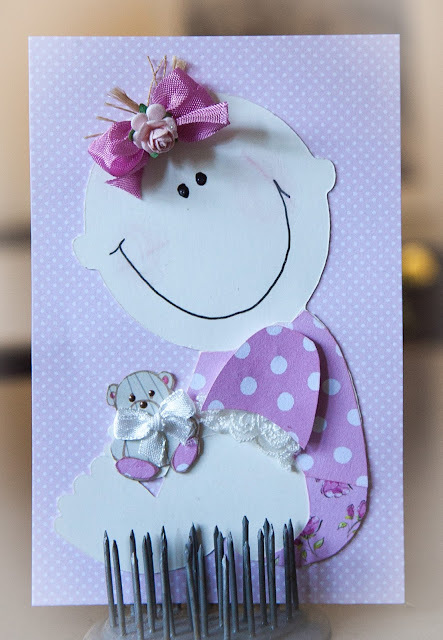 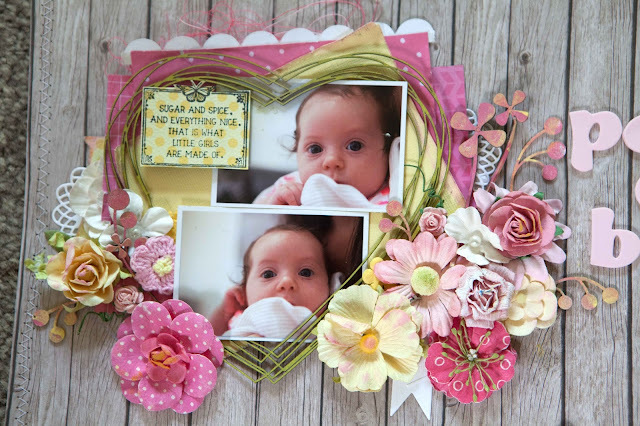 Baby Girl Layout using Graphics 45 'Botanical Tea' and 2Crafty Chipboard. 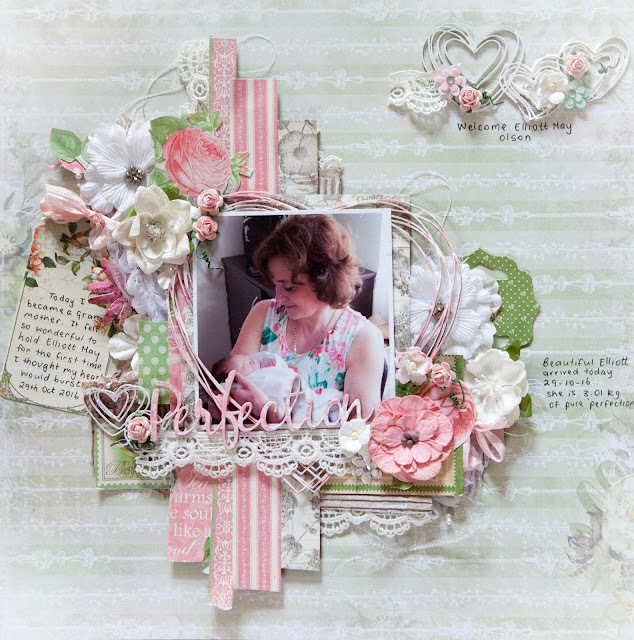 Here is a very feminine layout of me holding my little grand daughter for the first time. 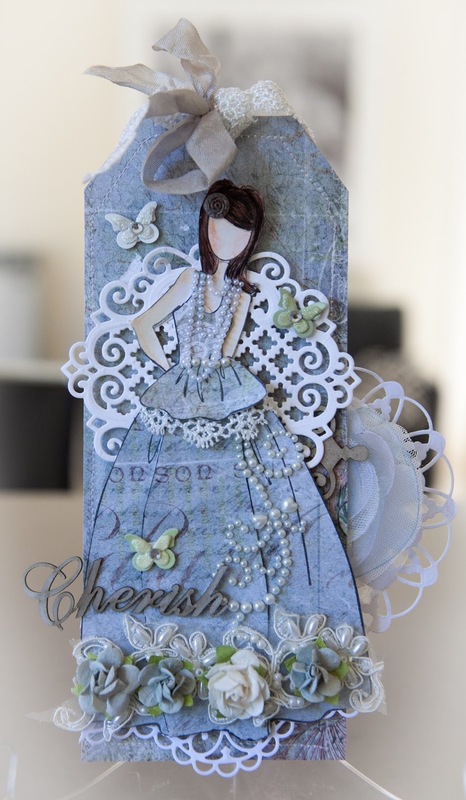 I wanted something very pretty to mark this very special occasion. Here is a LO of my little Elliott in her Princess outfit when she was 14 days old. 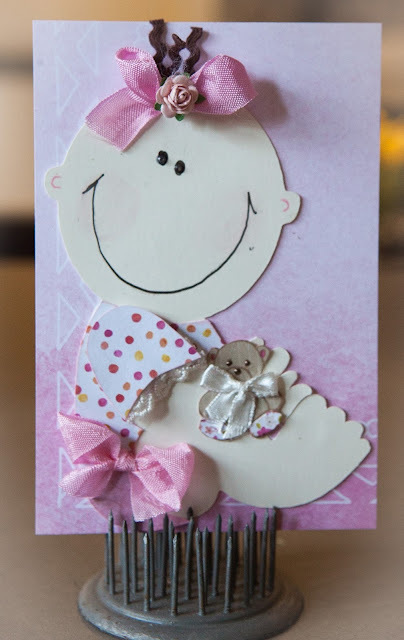 She was more interested in sucking her hands and she found being propped up for the shots only amusing for the first few minutes. 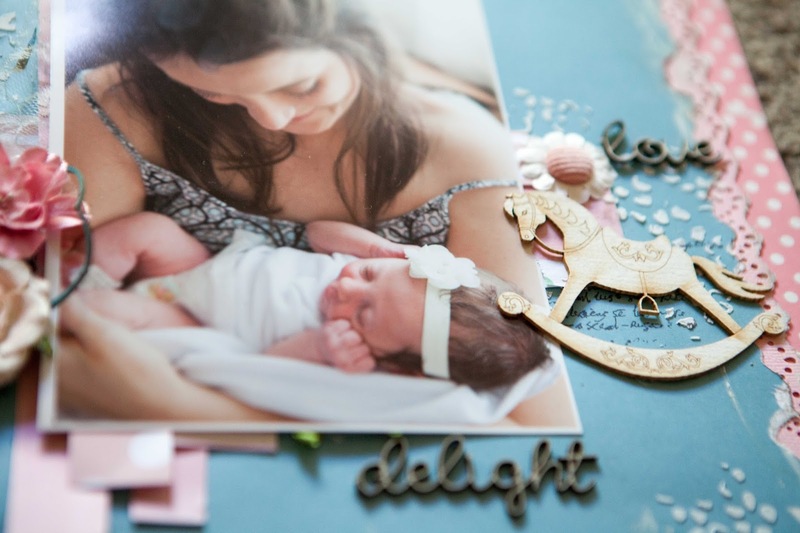 The pics tell the story. 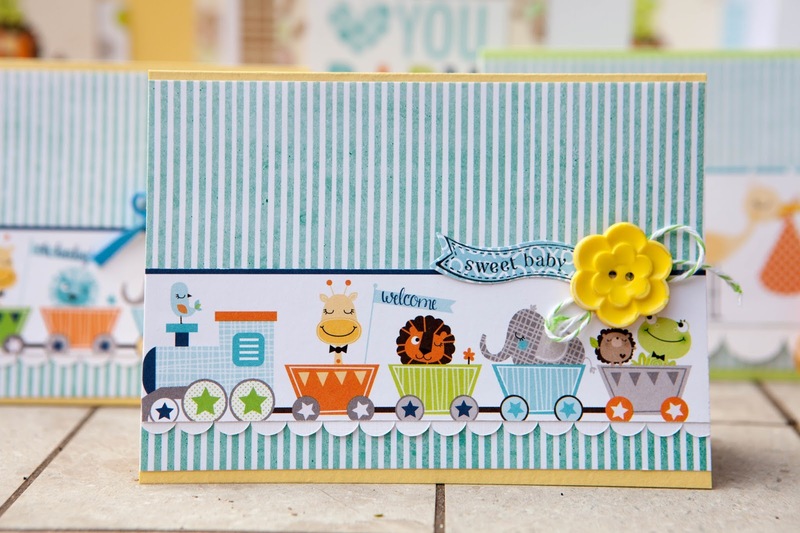 The papers are an unusual blend of Graphics 45 'Botanical Tea' and Cocoa Vanilla. I was quite pleased with the mix of traditional and modern papers with my favourite 2Crafty Hearts and Prima Butterflies thrown in. 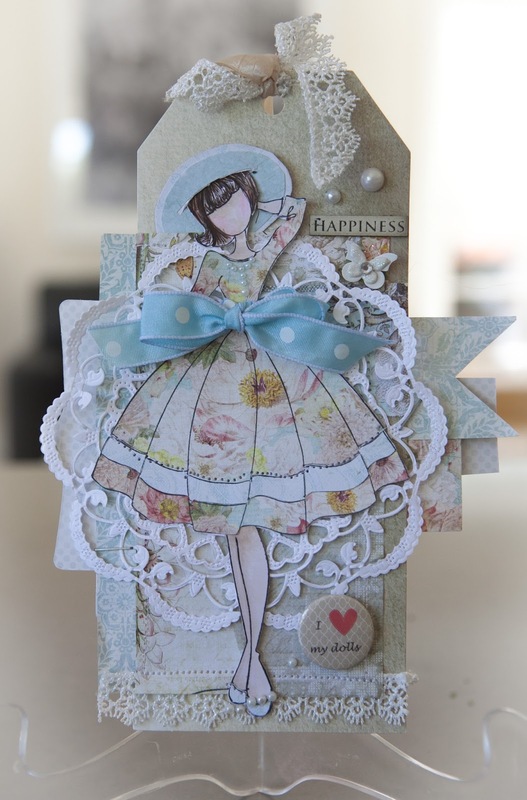 I have also started to try and use cotton thread as a background. 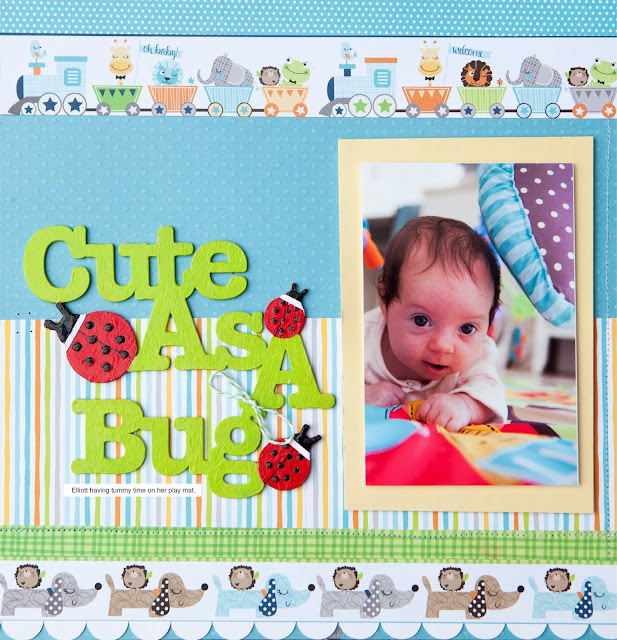 Here is a double page layout using '2Crafty Chipboard' 'Cute as a Bug in a Rug' and Bella Boulevarde Sweet Baby Boy Range. The chipboard animals were from the 'Zoo Crew' by Bella Boulevarde. 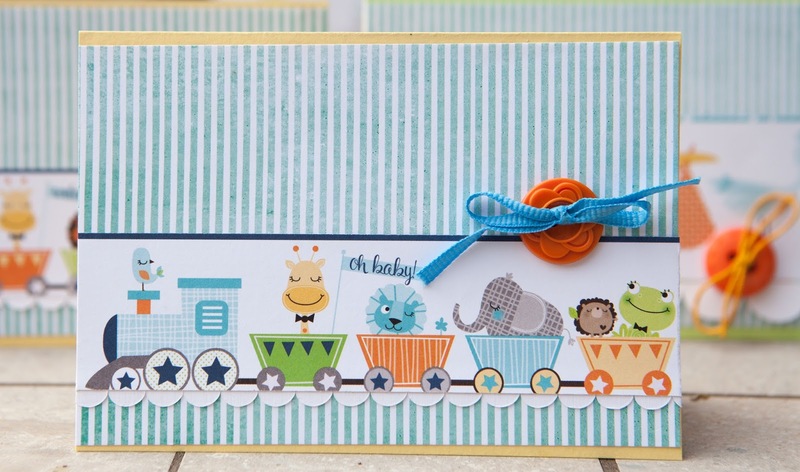 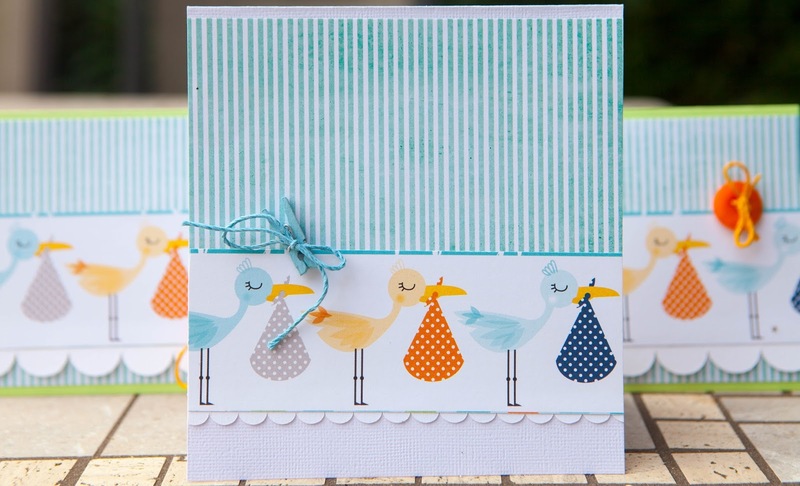 I used 6 sheets of the Bella Boulevarde papers and with the gorgeous leftovers I made 16 baby boy cards. 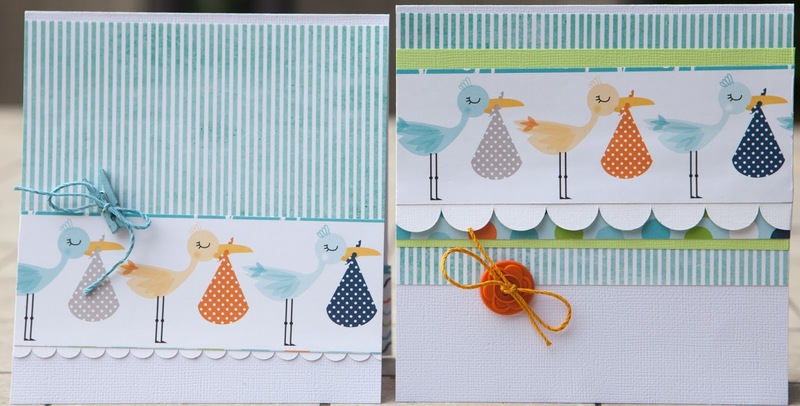 The cute images and coordinating colours made this very quick and easy. The cards are quite simple but hopefully very sweet. 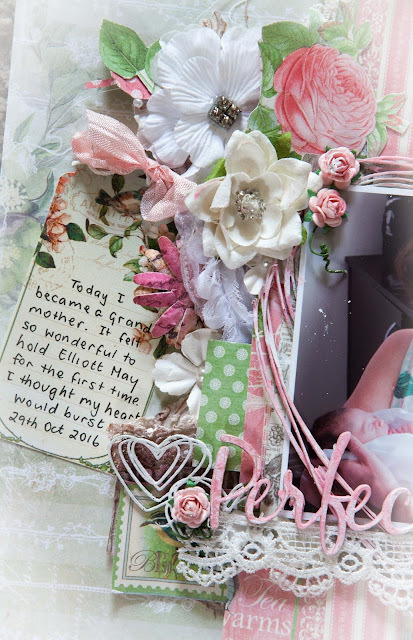 My mojo has been at a very low point over the last few months and my craft room and blog have been sadly neglected. Now I have a new little granddaughter and my creative juices have started flowing again and gee it feels good!!! 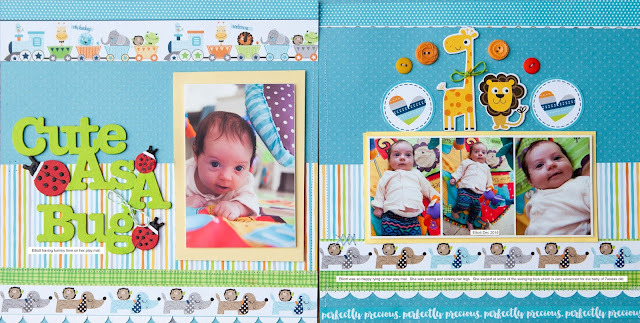 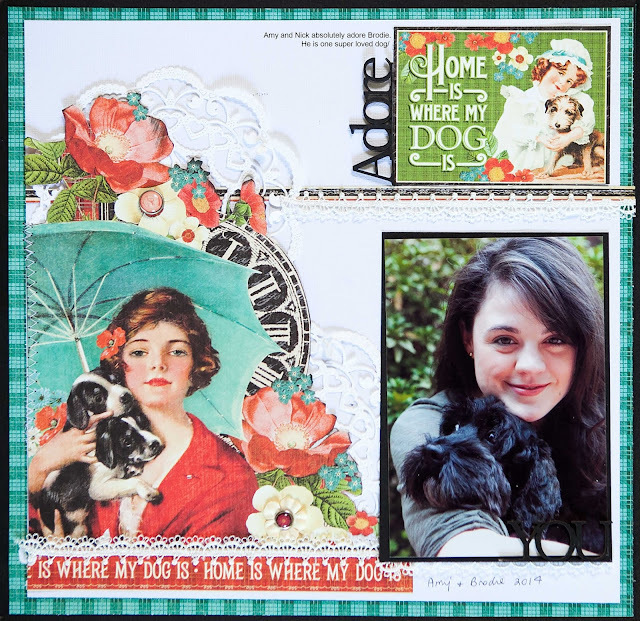 I really love Di Garling's work and the three layouts I created are scraplifted from her. Thanks Di for such amazing inspiration and wonderful work. 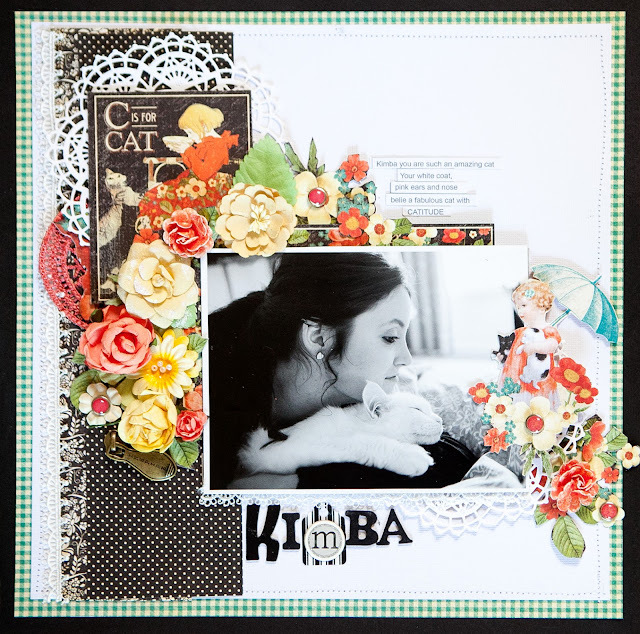 Here are some layouts using Graphics 45 'It's raining Cats and Dogs'. 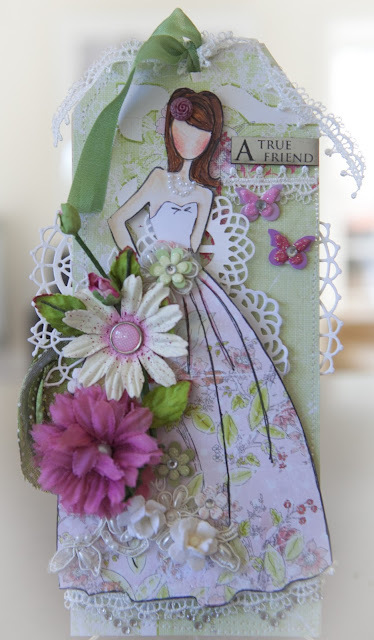 Yes I have been having more fun playing with Julie Nutting's Doll stamps. 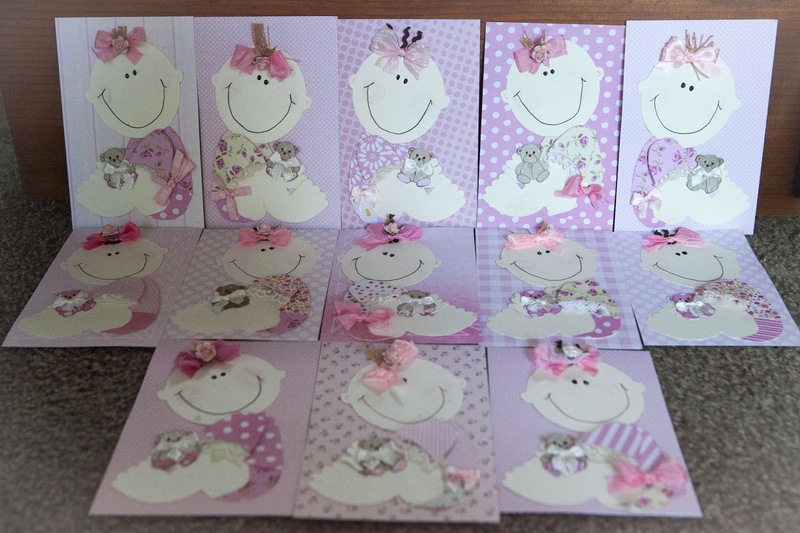 Of course I used my favourite pinks and flowers for some of the little ladies. 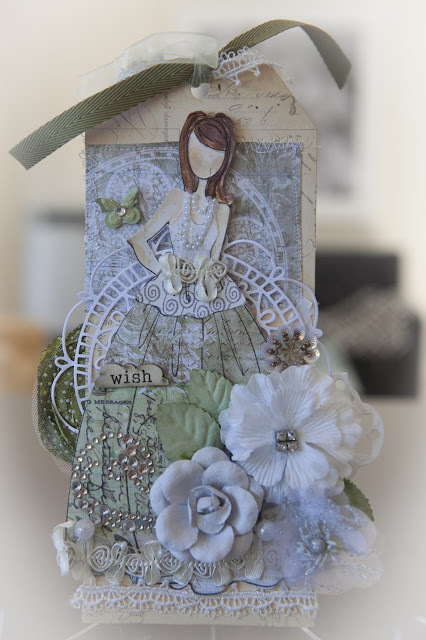 I did, however, step right out of my comfort zone and create some stylish Marisols in demur browns, greens, greys and cream. 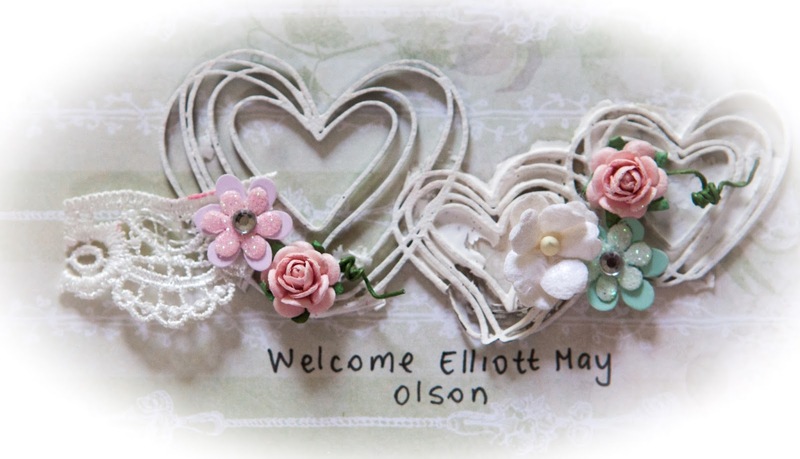 I hope that you like them. 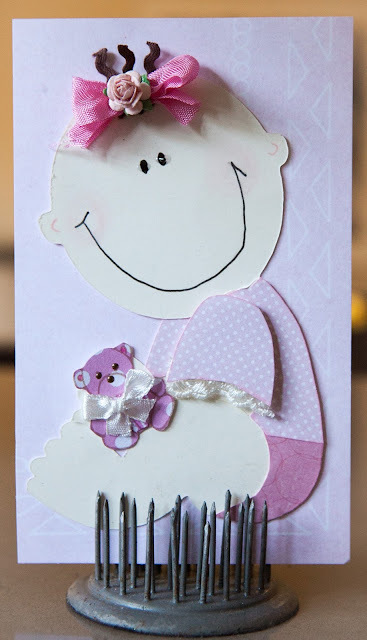 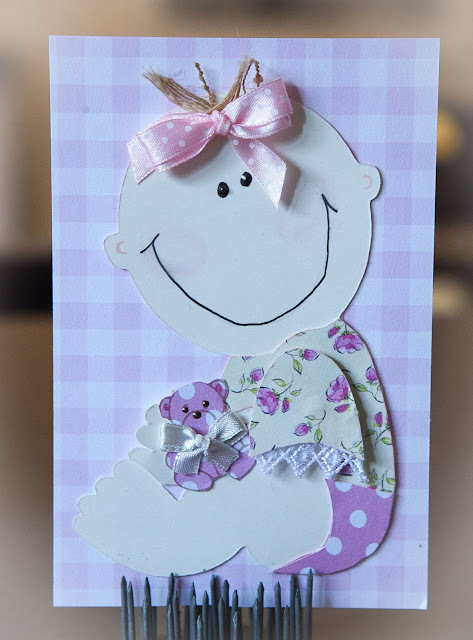 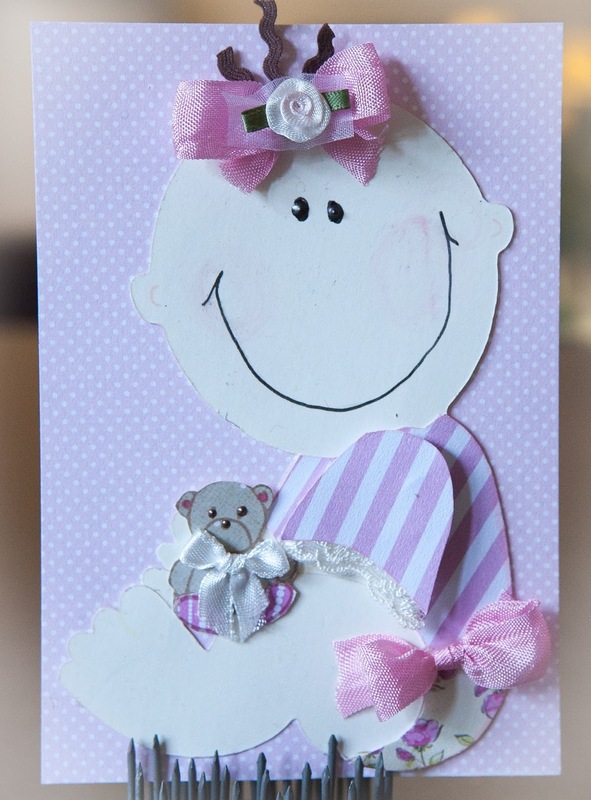 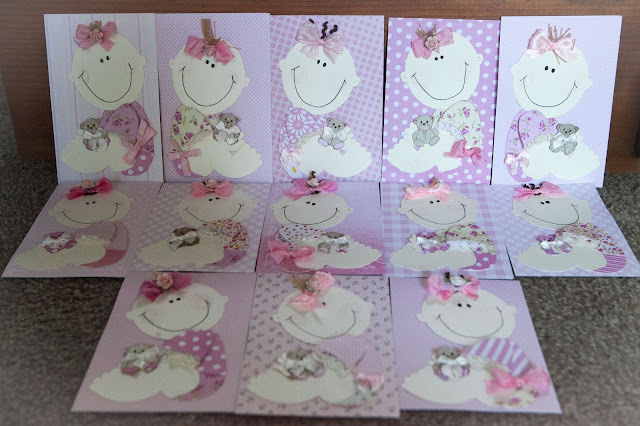 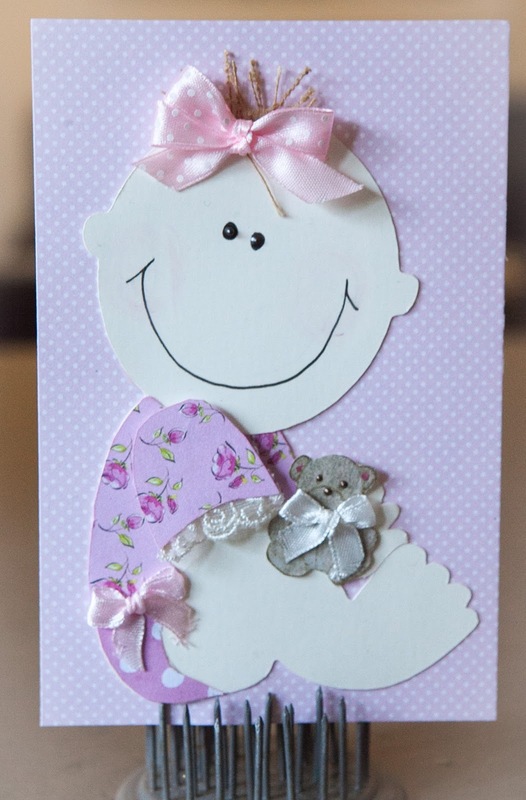 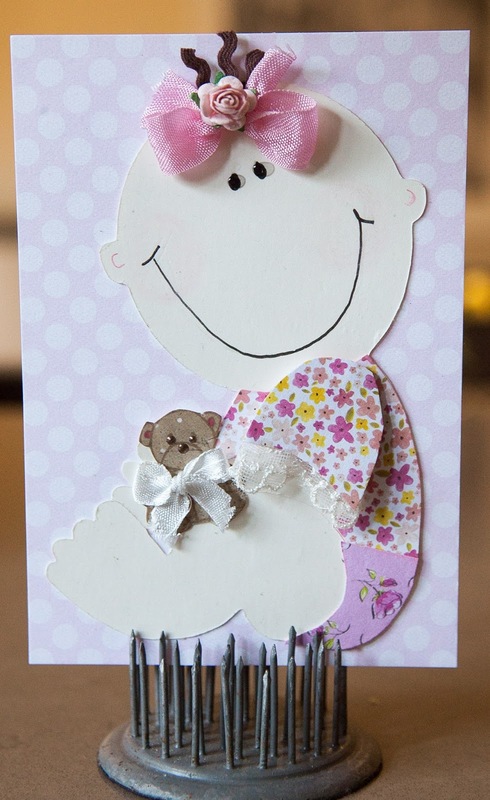 Here are some baby shower invitations I made and yes you guessed it...the baby is a girl.